Thermo Scientific, the world leader in analytical instruments and laboratory equipment, offers a full catalog of accessories and disposable items for chromatography, the answer to the demands of laboratories that want to improve analytical performance and productivity. Within the catalog there are are new products designed to offer a complete solution to the laboratories techniques. It is a company of Thermo Fisher Scientific group. 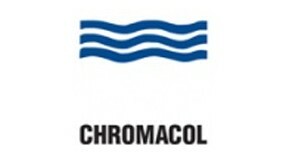 Since 1979 Microcolumn distributes Chromacol catalog, the best known manufacturer of vials for GC and HPLC autosamplers. The "three wavelets" indicate vials developed in collaboration with the manufacturers and, for this reason, compatible with the various models on the market. The range includes vials, caps, septa, aluminum closures, holders, adapters as well as closing and opening systems of vials. It also includes syringe filters and septa for GC injectors. 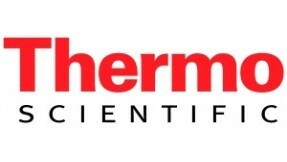 It is a company of Thermo Fisher Scientific group. 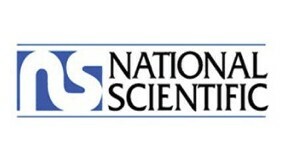 National Scientific products have been provided to the analytical laboratories for over 30 years. On its catalog you can find more than 1,500 items for chromatography, for the preparation and for storage of samples. Vials Target DP, PolySpring and MicroSert inserts are just some of the innovative products introduced by National Scientific on the market. 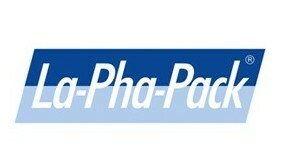 La-Pha-Pack was founded in 1990 and today is a leading manufacturer of autosampler vials. It works with some manufacturers of disposable items for the development of new products and puts quality as the first goal. The new headquarters in Langerwehe, Germany, sells its products worldwide through a network of distributors. Founded in 1975, Upchurch Scientific has been for more than 30 years, the world's leading manufacturer of fittings, hoses and high-quality components in the transfer of fluids and accessories especially for HPLC market. 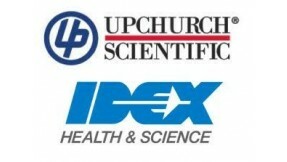 Upchurch Scientific products have become a trademark of IDEX Health & Science LLC. They are the choice for end users and OEM looking for thermoplastics and metal high performance products designed to resist the corrosion and the high pressures. Established in1976, Rheodyne offers products for the advanced solution in the management of fluids for a wide range of analytical instrumentation and diagnostic systems in vitro. 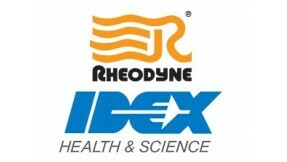 It is a IDEX Health & Science LLC company from the 2004. It is the best choice for instrument engineers who have always relied on the high quality of its products, such as manual and automatic valves for low and high pressure, automated injectors, switch valves etc. 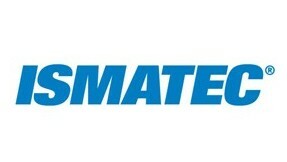 Founded in 1971 in Glattbrugg in Switzerland, Ismatech has specialized in the production of high precision peristaltic pumps and pipes dedicated to clinical laboratories and Analysis. Ismatec products include single peristaltic pumps and multi-channel pumps with ceramic pistons without valves and programmable modules that are ideal when pumping sterile fluids, live cells or aggressive fluids. 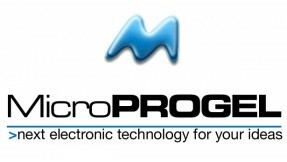 MicroPROGEL, a company founded near Padua in 2000, makes use of technicians and engineers with over 25 years of experience in the electronic and instrumental field. The company, founded with the aim of designing and building control circuit boards for the industrial field, has always maintained the ownership of the know-how. In the last ten years he has contributed to several projects related to PEM technology. For that reason the decision to design and manufacture its range of ultra-pure hydrogen generators. Microprogel has a wide range of bench top generators for laboratory use. 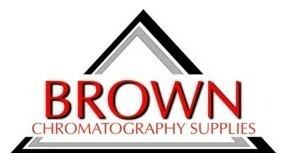 Since 1999 Microcolumn is the Italian distributor of Brown Chromatography Supplies products, known German brand manufacturer of vials for GC and HPLC autosampler vials and storage bottles. The range includes glass and plastic vials, caps, septa, aluminum closures, for storing crimp and screw bottles. 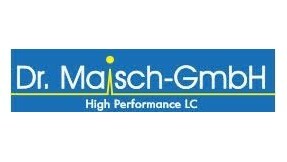 Dr. Albin Maisch, after working more than 30 years at the University of Ulm, in 1995 founded the company Dr. Maisch-GmbH, developing a new family of ultra-pure silica, the ReproSil-Pur reverse and normal phase, with a purity higher than 99.999%. Over the years it has introduced new higher performance phases. The company is also able to provide columns of important manufacturers, such as Merck, Hamilton, Eka Nobel, Knauer, Macherey & Nagel, Whatman, Waters, Neos. 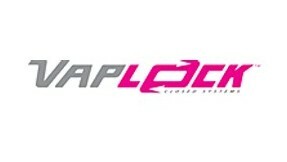 Vaplock is a trademark of Western Fluids Engineering, based in California.Vaplock products are designed to reduce the losses of liquids and vapors from containers of HPLC grade solvents and reagents. Vaplock products reduce the danger of hazardous chemicals in the laboratories, increasing the safety. They are easily usable with a wide range of laboratory instruments, containers for solvent waste and transfer of fluids in general. Teknokroma is a global leader in gaschromatographic columns production and distribution and high performance liquid chromatography (HPLC). He was founded in 1978 in San Cugat del Valles – Barcelona, and from the beginning it has been the exclusive distributor of some of the most prestigious brands in the field of chromatography and, at the same time, a manufacturer of products and consumables. 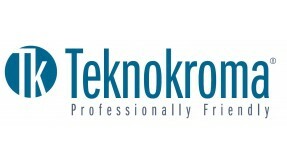 Today Teknokroma is present in more than 50 countries around the world and continues to consolidate.